The biggest difference between QuickBooks Online vs Desktop is that Online requires no installation on a computer and Desktop does. Product-based businesses with inventory needs typically work better with QuickBooks Desktop, whereas service-based businesses or businesses that use multiple devices typically choose QuickBooks Online. Psst… If you want to get straight to the meat, my friend Woody Adams at Intuit has created an amazing comparison chart for us to see all the features in QuickBooks Online vs QuickBooks Desktop at once. Check it out here. Although I have most of my clients on QuickBooks Online (seriously, all but one), I think it’s always important to revisit the conversation of the main differences of QuickBooks Online vs. QuickBooks Desktop. For me, one of the biggest differences is that the one client I still have on QuickBooks Desktop is the one client I’m sure to visit every month. But hey, it forces me to put on pants and go out into the world and interact with other humans. Today, there are more units of QuickBooks Desktop used by small businesses than QuickBooks Online. However, small businesses are flocking to the online version of accounting platform. Did you know that 80% of new QuickBooks users are choosing QuickBooks Online vs. QuickBooks Desktop? You need to know the differences between QuickBooks Online vs. Desktop—whether you’re starting to use QuickBooks for the very first time or you’re a loyal Desktop user considering the change. QuickBooks Desktop still offers the following feature sets that QuickBooks Online does not. If you can’t live without any of the below, than QuickBooks Desktop is most likely best for you. Keep in mind that some of the features below are only supported in QuickBooks Premier and Enterprise, and notQuickBooks Pro. QuickBooks Online vs. Desktop: How Do You Decide? Again, I know this isn’t always an easy question to answer (even if for me, it is!). Always consult with your bookkeeper or accountant before deciding, and if you’re not ready to make the change to QuickBooks Online now, prepare yourself that you’ll most likely have to make that change at some point in your business’s future. See the differences for yourself. 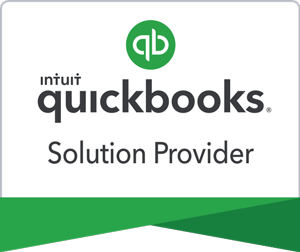 Explore QuickBooks Online or QuickBooks Desktop.